When it comes to applying for life insurance, honesty is the best policy. 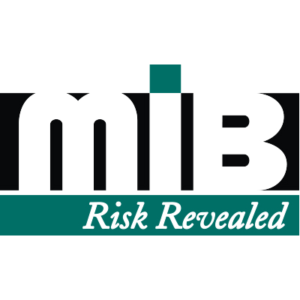 MIB, formerly the Medical Information Bureau, is an insurance consumer reporting agency in North America—the only one, in fact—and its primary purpose is to protect insurance companies against fraud. Thus, your obligation to tell the truth when you apply for life insurance will not only have a profound and long-term effect on your future insurance needs, it could also lower the cost of your life and health insurance policies. Here’s what you need to know about the MIB insurance report when you apply for life insurance. MIB, or MIB Group, Inc., is a membership corporation owned by roughly 500 member insurance companies throughout the United States and Canada. Previously known as the Medical Information Bureau, the organization was created in 1902 to provide fraud protection services to insurance companies. MIB maintains a confidential consumer database that is accessible only by its member companies. It exchanges personal data about individuals among its members and also issues consumer reports to them. In turn, MIB also provides full disclosure to consumers regarding their files. Despite its size, MIB’s name is still not very well known among the general population. In fact, people are more likely to associate MIB with the movie series “Men In Black” than they are with the fraud protection service. MIB is oftentimes described as an “information exchange.” Their members contribute underwriting information to the MIB database that may be helpful to other members who later search the database with your authorization as an applicant. authorized personnel of the member company. When you apply for insurance, you authorize the use of MIB as an information source. An MIB insurance report can include your previous or existing medical conditions, prescription medication history, as well as other issues like hazardous hobbies, adverse driving records—anything that could have an impact on your ability to be insured. These reports alert insurance providers to potential errors, omissions, and/or misrepresentations that may have been made during the application process. 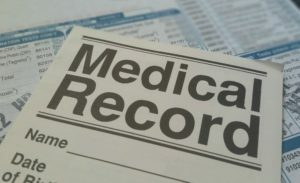 If the reports are inconsistent with the information you provided, insurance companies are then required to conduct an investigation to obtain more information about your reported medical histories and/or conditions before making a decision to either accept or deny your insurance application. MIB makes every effort to protect your privacy. Their security standards and policies are designed to protect the confidentiality of any individual whose information is in the MIB database. 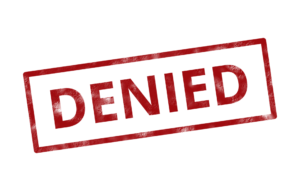 MIB does not collect, maintain, or store any medical records such as examination reports, attending physician statements, lab test results, x-rays, underwriting files or reasons for denial of insurance. Instead, MIB’s members agree to share information of underwriting significance in the form of brief medical “codes,” which are a simple form of encryption to protect the confidentiality of your medical condition. Let’s say you apply for a life insurance policy, but you are not completely honest in answering the questions on the application. Maybe you fail to include information about an existing medical condition or some prescription medication that you are currently taking. The insurance companies will access, at the very least, your pharmacy report. They will know what medications you are currently taking and that you were less than honest about that information. A record of this behavior will follow you within the MIB datebase for the next seven years—so it’s certainly not a risk worth taking. high. As a result, there would be a code within your MIB insurance report referring to blood. The code would not indicate how severe the problem was or whether the insurance provider ignored the problem. It would also not indicate whether they decided to insure you at a higher premium, or whether they chose not to offer you any coverage at all. 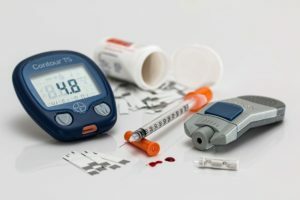 The code in your MIB record is simply an alert that warns future potential insurers to pay attention to your blood sugar. It’s still entirely up to them whether they want to issue an insurance policy to you or not. Again, this information is completely confidential. It’s only shared with other member insurance companies and only expressed in codes. MIB’s underwriting services are used exclusively by MIB’s member life and health insurance companies to assess an individual’s risk and eligibility during the underwriting of life, health, disability income, critical illness, and long-term care insurance policies. These services alert insurance providers to errors, omissions, or misrepresentations that are made by consumers on their insurance applications. By lowering the risk, MIB may ultimately help to lower the cost of life and health insurance for consumers. For example, if you withhold or omit information that would have caused the insurance company to decline the policy or to charge an extra premium to account for the additional risk, everyone that is insured with that company is indirectly affected. The insurer may need to raise their rates, reduce dividends or interest credited to policies, or make other adjustments. MIB helps insurers remain financially strong so they can, in turn, meet the guarantees and assurances to their policyholders. 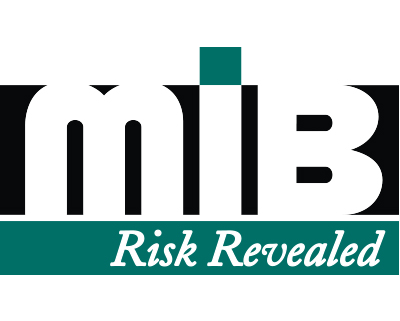 MIB’s service saves its member companies an estimated $1 billion annually by allowing them to assess and select risk accurately and appropriately. Thus, MIB ensures that companies can offer—and consumers can purchase—affordable life and health insurance protection. As a nationwide specialty consumer reporting agency under the federal Fair Credit Reporting Act (FCRA), MIB provides both U.S. and Canadian consumers with the rights, protections, and privileges available under the FCRA. As a result, there is no charge to request a copy of your MIB Consumer File—if one exists—once per year directly from MIB. Let’s say you receive a negative underwriting decision letter from an insurance company. The letter indicates that an MIB record influenced the underwriting process which resulted in your application being rated or declined. MIB will then provide you with a free copy of your MIB Consumer File in addition to your free annual copy. Before requesting your free disclosure, you should know that you will not have an MIB Consumer File unless you have applied for individually underwritten life, health, disability income, long-term care, or critical illness insurance within the past seven years. The insurance company to which you applied must also be an MIB member company that submitted an MIB inquiry with your authorization. you applied to an insurance company that was not an MIB member. As a practical matter, if you are in good health and you have been approved for a policy as a standard or preferred risk, you typically will not have any information reported to MIB. At True Blue Life Insurance, we quote MIB member companies, so you can rest assured that you will be purchasing a life insurance policy from not only a reputable organization, but also a company that is committed to your personal privacy. decisions you’ll ever make. It’s also one of the most complicated. A qualified True Blue insurance professional will conduct a thorough analysis of your insurance needs and provide you with policy recommendations that are based not only on our public knowledge of company ratings, but on our own personal dealings with the companies we recommend. 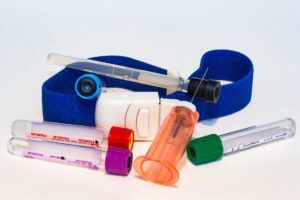 We are knowledgeable in the different products that are available from a wide variety of insurance providers, and we can help you determine what type of coverage you need for your unique situation. We look forward to helping you with all your life insurance needs. Contact True Blue Life Insurance at 1-866-816-2100. My brother and his wife got hold of my social security number four years ago. I haven’t had contact since then with them. They had money issues. I think he may have put a life insurance policy on me with him as the beneficiary. Is there a way I can find out if this was done? Most insurance companies will do a credit check of some sort (usually a soft inquiry), so working with a credit reporting agency to get your credit reporting back during that time might shine some light on if this was done. It isn’t easy to get life insurance policies on someone else in this day and age without their permission, so I wouldn’t be overly concerned. However, your credit report should give you a sign if they did. Hello I’m interested in finding out how many people have a life insurance on my mother I understand there’s a lot of bogus policy is going around please contact me back at xxxxxxx (removed by admin for security purposes). The life insurance industry has become extremely strict on who can obtain a life insurance policy on another person and in order to do so, there has to be some level financial hardship that the insured’s death would cause them. In most every case, getting a policy on someone without their expressed permission is not possible. As agents, we do not see if someone already has coverage or with whom. 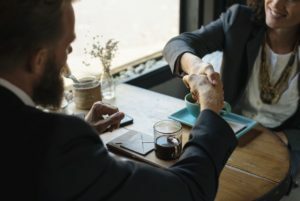 Underwriters at life insurance companies may have access to that information, but strict confidentiality may limit their ability to go into detail about the contract. In order to obtain more information regarding who has what policy on your mother, discussing your concerns with a licensed attorney may provide some recourse. 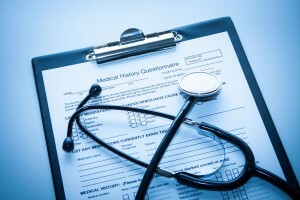 Medicare Supplement Plans or Medicare Advantage?